Of course I’d need an occasion to wear a gown, which has never come up in my life ever, but still. It would be nice. 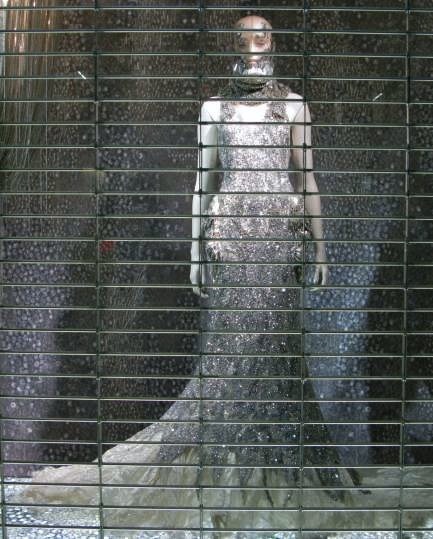 The silver gown is Alexander McQueen, the black one is … oh Jesus, I didn’t get the name of the shop. Someone well known I’m sure, it’s beautiful. 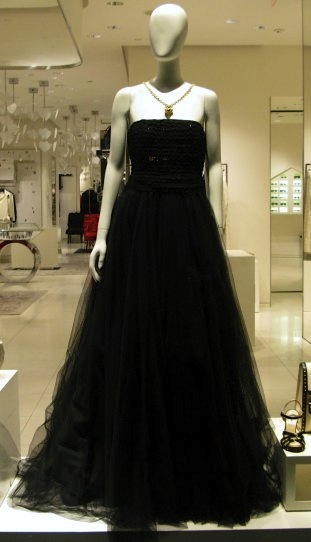 It’s also the one I think would be more flattering on. Both of these are in windows on 14th Street, a few blocks away from where I live. This is what I have to contend with. The truth is I love looking in the windows and don’t actually long to own what I see (except for some of the things I see in Cynthia Rowley’s window) so it’s not like I’m walking by like the Little Match Girl.